Think back to your last purchase. Did you open up Google and look for suggestions of where to shop or eat? If you’re like most people, you probably did. You likely took the time to assess and evaluate the choices Google provided you. Previous customer experience or ‘reviews’ inevitably played a big role in your decision. A large number of high-rated reviews favoring your business help customers select you over competitors. It also signals Google to rank you higher in local searches. In short, reviews increase your exposure and increase footfall to your business. In this post, I’ll go over what an online review is, why it matters for local SEO, and how to build a strategy to earn reviews without penalties. Online reviews are comments about your business or its product and service by individuals who have no association with you. It’s important to note that people look at reviews at the end of their purchase cycle. If I’ve decided I want to eat at an Italian restaurant, I’m probably going to check out Yelp for suggestions. According to a study by BrightLocal, 85% of consumers read online reviews before making a purchase decision. But do online reviews really make an impact in that decision? Dimensional Research put this to the test and found that 90% of respondents claimed that reviews influenced their purchasing decisions. 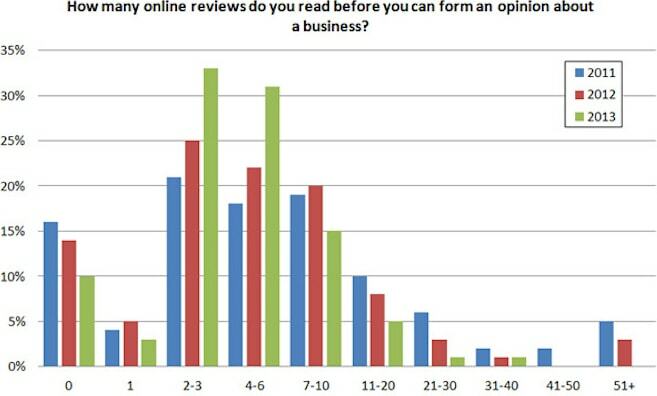 On average, each individual reads at least 6 reviews before forming an opinion. The summation of all your reviews can be viewed as your online reputation. While positive reviews may sway users towards your business, it only takes a few bad reviews to permanently stain your image. For example, if people are complaining about substandard food, poor ambience, or lack of customer service at your restaurant, most people will avoid your business. It may seem that reviews are only useful for driving conversions. Don’t get me wrong, they totally are. However, like your potential customers, Google also looks at reviews to determine how trustworthy your business is. The more people talk about your business, the higher your ranking. Google’s job is to improve user experience (UX). Reviews improve UX by providing actionable results that people can reliably act on immediately. Let’s say a person is looking for a lawyer in Denver. They take out their phone or open their laptop and do a quick search on Google. Notice the first thing they see in the results section. Businesses in the 3-pack feature above organic rankings which means they enjoy a bulk of the click-throughs and foot traffic. Reviews play a vital role in determining if your business will appear in the 3-pack. 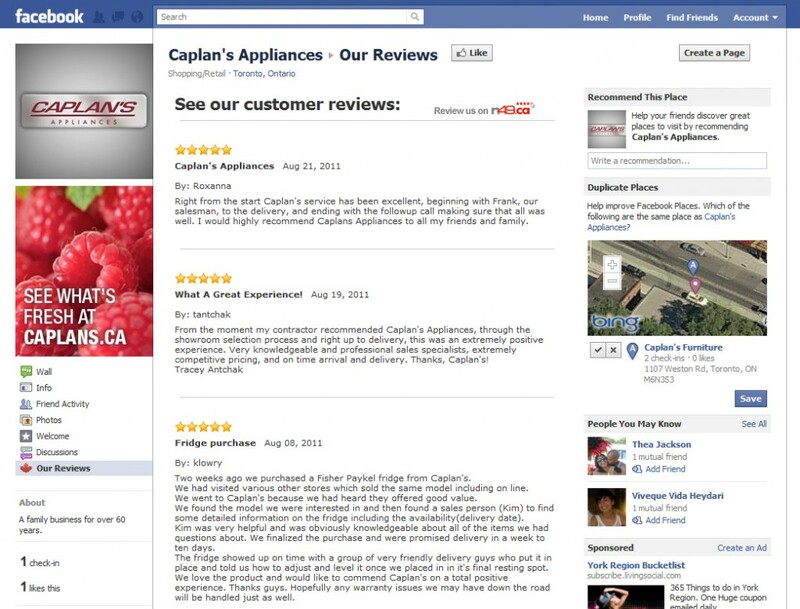 Reviews are essentially social proof that people like (or don’t like) your company or product. 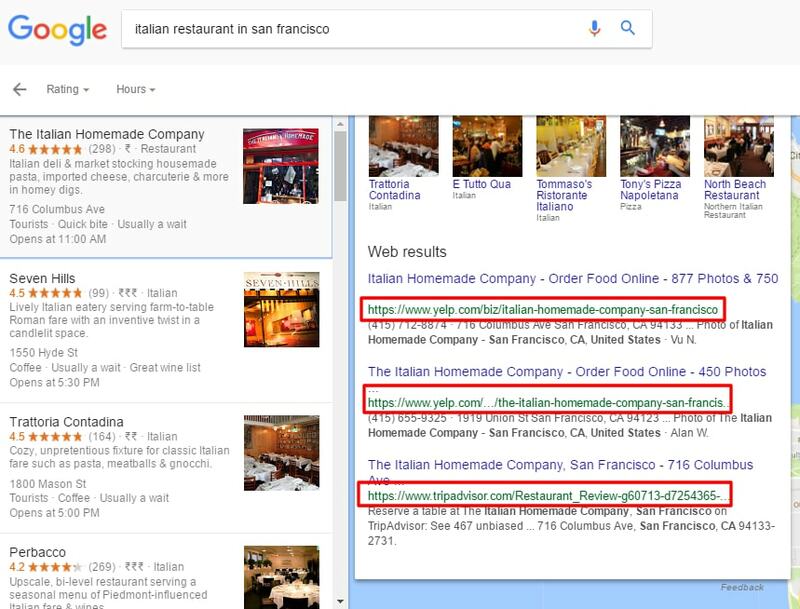 This helps Google filter out businesses that may otherwise damage its own reputation. 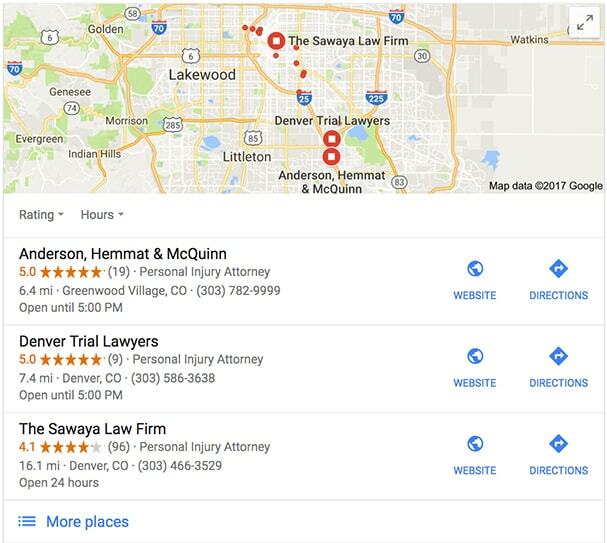 If you’ve optimized for local SEO factors such as local citations and social signals but you have little in way of reviews, Google will not recommend (rank) you in the 3-pack. Both quantity and quality of reviews matter. For instance, let’s pretend there are two comparable restaurants in the same city. One has a 3-star rating with 500+ reviews and the other 4.5 stars with 300 reviews. In this case, The higher rated restaurant will be given preference in ranking. Now that you’re sold on online reviews, it’s time to figure out how you can get more people to leave a review for your business without breaking Google’s guidelines. Relying on the sheer brilliance of your product or service is risky. You should be proactive and constantly remind people to review you. People who are satisfied with your business will happily provide a review. To start, you need to be present on review platforms where people can leave their feedback. A few examples include Google+, Amazon, Yelp, Facebook, and TripAdvisor. For a complete list of options, check out this page featuring a comprehensive listing of directories. You don’t need to be on every review site. Instead, find out which review sites Google is pulling data from for the top-ranked results in your industry. Let’s say you’re an Italian restaurant in San Francisco. Type that into Google and explore the top results. It seems that Yelp and Tripadvisor reviews are weighted heavily. Certain sites are favored in each industry. For example, while those looking for a restaurant may start with Yelp, travelers typically trust TripAdvisor or Expedia, those looking to buy an item online will likely head to Amazon, and people searching for a service provider often rely on Google. 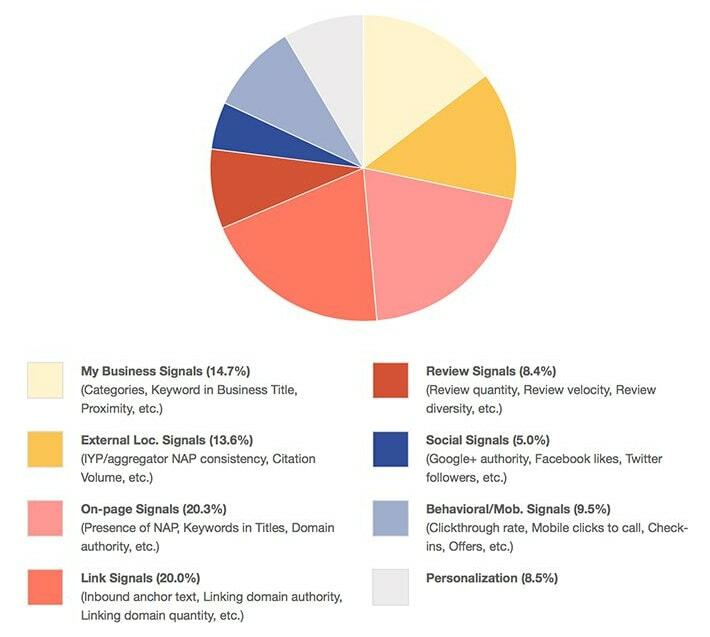 Do your own research to identify the sites your target customer is likely to target for reviews. Use this knowledge to set up a business profile on the sites commonly used in your industry. Once you do, make sure to note down the link that directly leads people to the review form. This makes it easy for people to leave a review when asked (more on this in the next step). Also, if there is an option to verify your business, make sure to do so. Resources such as Moz Local and Whitespark can help you claim listings and keep them up to date. Make sure that you keep key factors like location, hours of operation and phone number current. This adds an additional layer of trust to your business. You don’t want people questioning whether your business information is accurate. It may seem obvious, but asking for a review is exceptionally effective. However, you have to be subtle about it. You can’t just flat-out ask someone to leave you a positive review. Instead, remain neutral and simply encourage people to leave an honest review. Every major review site has strict rules against incentivizing reviews. If you’re caught shopping for them, the consequences can be grave. Ask individuals who are getting the most value from your product or service. A great place to start is with your repeat and loyal customers. After identifying a target group, try out these tactics. Email is a great medium to ask for reviews (even if your business isn’t online). During in-store purchases, ask customers to provide their contact information. Add their email address to an automated mailing list that asks users to leave you a review. 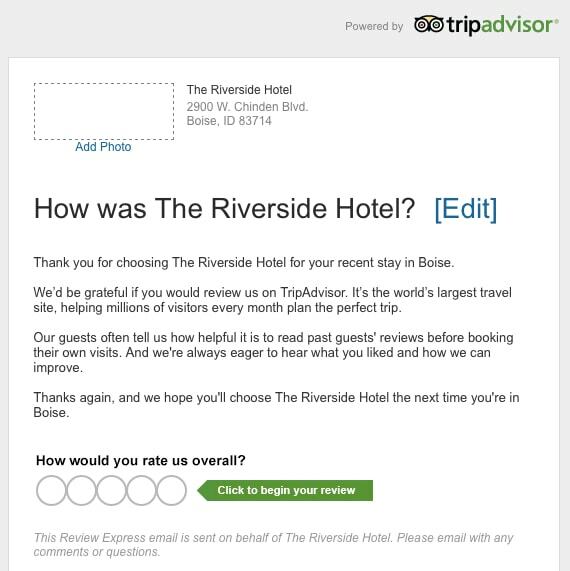 The Riverside Hotel utilizes a post-stay thank you email to ask for a review. Remember to include a link that redirects users directly to the review site. You know your target customers use social media – just about everyone does these days. They use it for more than just connecting with friends and family. Today’s connected customer uses social media to connect with the brands they love. When customers make a purchase or engage with your company, remind them to check out your social presence. You could print this reminder directly onto your receipt, include a link to your social media pages on emails, or even include your brand’s Facebook address on your business cards. 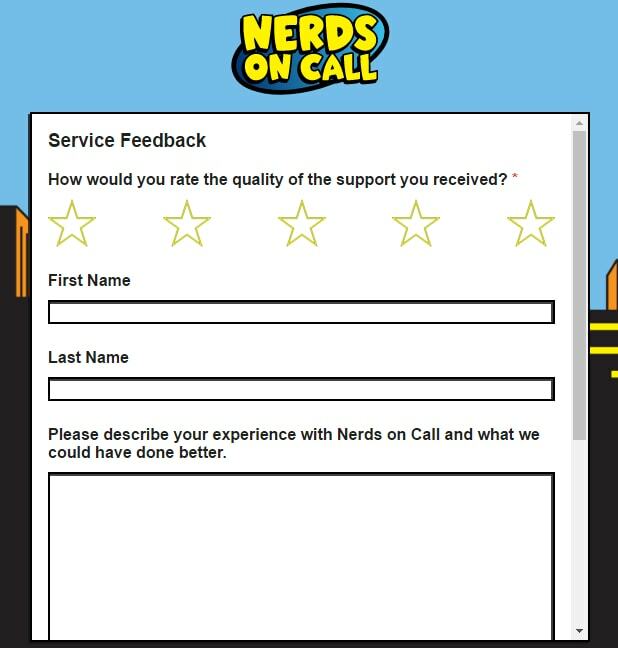 Set up a landing page dedicated to collecting reviews. Promote this page through flyers in-store or in the media and send customers to this page after service. The biggest challenge of reviews is that those customers that were unhappy tend to scream loudest, and pointing those people directly to a public platform can have a reverse effect. This can be particularly frustrating if you weren’t aware that the customer was unhappy and didn’t have the opportunity to make it right. With a landing page, you can actually triage for positive and negative reviews. Create a landing page that asks a customer to rank your product/service in a simple and easy to understand way. Segment customers based on this response. Send unhappy customers to another page (that you control) where they can leave feedback. Instead of sharing that review publicly, send it to your customer service team. For those who respond positively, redirect them to a different page with links to 2-3 sites you want them to review you on. Keep the selection options small and rotate them out every now and again to diversify your review distribution. Nothing is more disappointing than a unengaged business. If a customer has taken time and effort to leave a review, the least you can do is make time to say thanks. Why is this such a great response? It doesn’t seem cold and uncaring. A rote or impersonal response harms your reputation just as much as a negative review. Take time to provide a response that shows you value a person’s feedback. Your goal is to show that you are a real person. 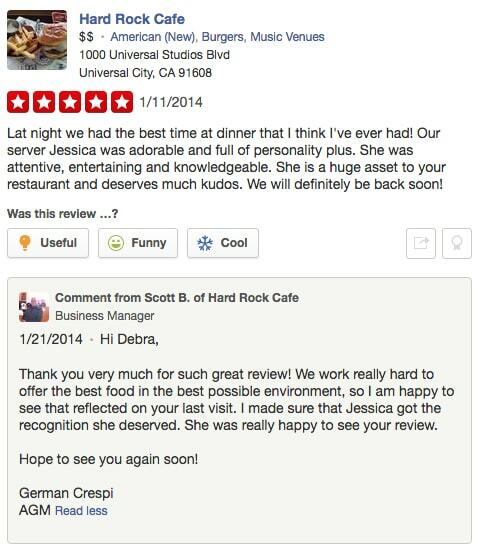 Notice how Hard Rock’s response mentions the server getting recognition for her work. If they had just said “thank you, come again,” it would give off an air of “you aren’t important enough to warrant a personal response.” This would give a bad vibe and could even appear disrespectful. Always put in more effort than your customers to build strong lasting relationships. Unfortunately, reviews are not always positive. Ignoring a negative review may be tempting but doing so is damaging. 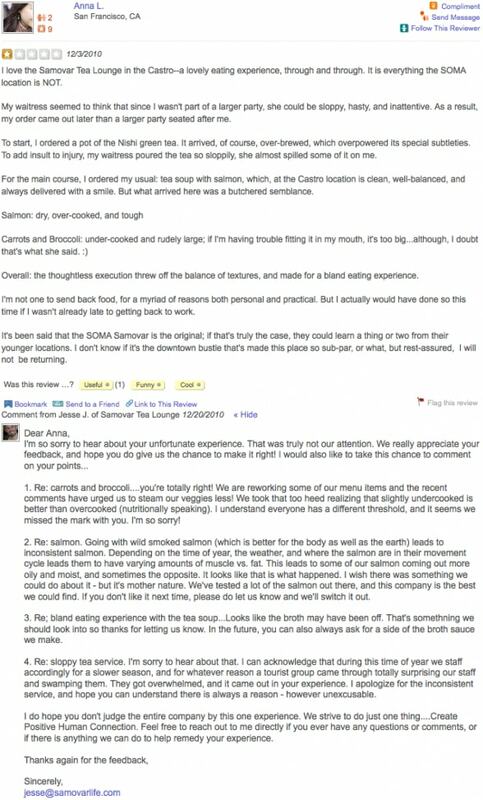 Let’s start by looking at a great example of a business owner handling a negative review. This is a great response because it acknowledges how the reviewer feels. Ignoring someone’s anger or frustration because you disagree with them only prolongs the conflict at hand. In the example above, the owner addresses each issue. Not only that, he informs her of the work being done to improve customer experience and invites her to reach out to him. Always thank people for their reviews whether it’s positive or negative. A negative review may seem like a punishment but when you consider the alternatives, it isn’t. A person could have simply told family and friends never to do business with you. Instead, they took time out to provide you feedback. It’s natural to feel that a review is filled with misinformation and lies. Instead of focusing on this, look for any bit of truth and agree with it. They bought your product and you should confirm this. It doesn’t matter right now whether you think they broke the product intentionally or if it was faulty, just agree with the current truth. Also, never argue over opinions (such as your company being called a scam). Once you’ve acknowledged the truth, empathize with how they feel. Don’t accept their conclusions as fact but recognize their feelings. If they are frustrated, state you understand their frustration. A great way to do this is mirroring the same words or phrases they use. If they say “frustrated” use that word in your response. Take charge and solve the problem. Make sure you let people know that your goal is to fix the problem and improve customer experience in the future. You can also give them a task to help solve the problem. This will prevent them hopping review sites leaving you bad reviews all over the net. Don’t offer discounts or give up your solution in the review. Doing so encourages people to give you bad reviews to get the discount or free products/services. Be prompt with your replies. If you don’t have time to monitor multiple review sites every day, set up a Google alert for your business and product names. This will help you respond quickly and provide a positive customer experience. And make sure to address legitimate customer concerns. A negative review is an opportunity to fix problems before they tank your business! If you want to increase physical visits to your store, you’ll need to acquire some positive reviews. Treat them with care as you would with other elements that shape your customer experience. Though results won’t occur overnight, you must remain diligent. Just be patient and focus on acquiring positive reviews. 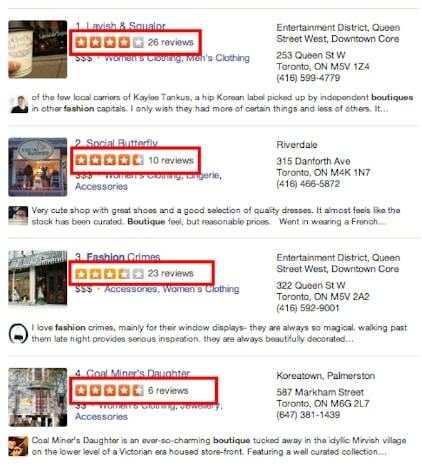 As you watch your total reviews increase, your business will gain in local search standing while building a formidable online reputation.